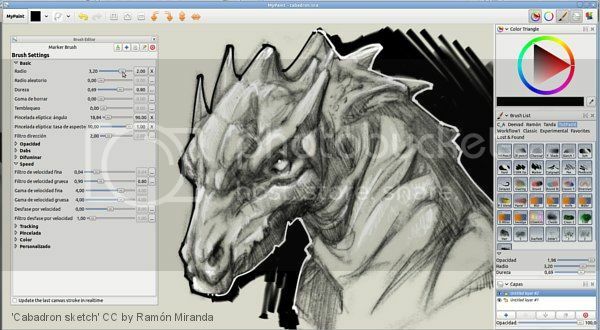 MyPaint comes with a large brush collection including charcoal and ink to emulate real media, but the highly configurable brush engine allows you to experiment with your own brushes and with not-quite-natural painting. Mypaint is a nice application. Works very well on Upup Precise 3.7.2. I tried to install Mypaint 1.0.0 but it works for me only in a fresh installed Precise. In Precise where I load .sfs files like VirtualBox, Java, LibreOffice, Devx and Kernel Source (my work softwares), Mypaint program don't work, if I try to launch it via command-line it gives to me an error message that I attach in this page . you're possibly installing something containing python modules, which aren't compatible with precises python. the devx, kernel src & libre office are fine as i have them installed and mypaint works fine.... i can't see virtualbox affecting it, what are these 'work softwares' ? There is at least two versions(2.6 or 2.7) of python available on the forum. by Barry Kauler doesn't have a package. Python in my Upup Precise is 2.7.3 version. My Work software is that I've already mentioned (LibreOffice, Java, VirtualBox, Devx and Kernel Source, plus driver for Bluetooth and a card Driver for my laptop). To identify software conflict I'll try to test sequential installation of all software. precise puppy comes with python already installed so no need to install a python package, and it is compatible with the python modules in the PPM. It's strange, but Mypaint works only if is loaded as the first app even in .sfs, when I install Bluetooth, Card Driver, Wacom Driver and xbacklight, don't works anymore. is the bluetooth package the one off the forum, with python? If you want to get a look: This is link to download file. 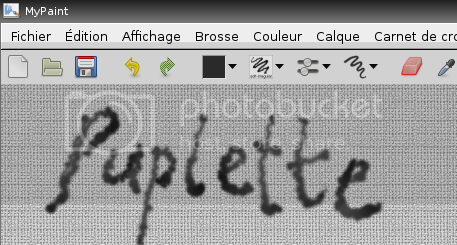 MyPaint 1.1 SFSworks in Puplette and ToOpPy. In Upup Precise 3.7.2. works fine (but I don't load Bluetooth Mouse Driver). In a fresh installed Upup Precise 3.8.3, Mypaint 1.1.0 .SFS won't start. I enclose a snapshot of error message that complains that icons are missed. I follow the web link in the error message and instructions in the web page, but without any success. What can I do to make Mypaint in order to work on Upup 3.8.3? so not sure what's going on! did you install anything else? I am not installin anything else. I redo the test. I redo installation of Precise 3.8.3 No-PAE kernel with frugal method, create save file, reboot, install mypaint.1.1.0.sfs, reboot , open a rxvt window and type: mypaint. Nothing happens. Only appear the screen I've post in my previous message. I install Bluetooth 0.5 (that prevents mypaint to work). I launch now mypaint in a terminal window and NOW....WORKS!!! How can it tell to mypaint where are his icons?